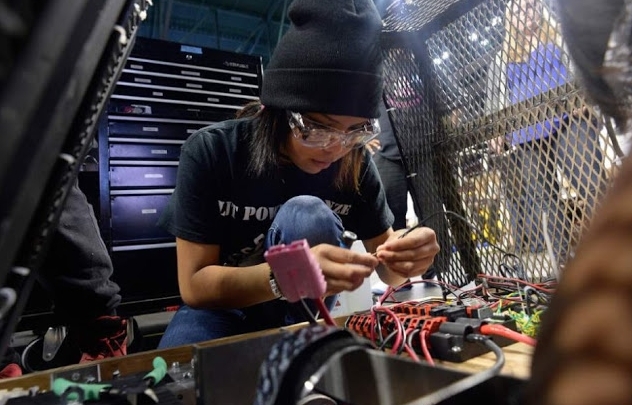 A team of Navajo high school students will travel to Mexico City next week to represent North America in an international robotics competition, The Associated Press reported Tuesday. 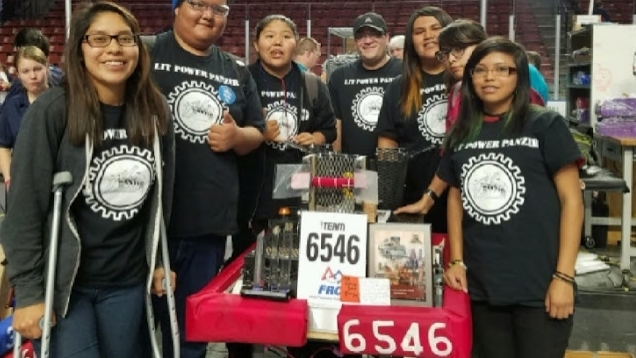 The group from southern Utah was specially invited to the First Global Challenge, which starts on Aug. 14. Teams from more than 190 countries will attend the competition, which this year will focus on energy sources. 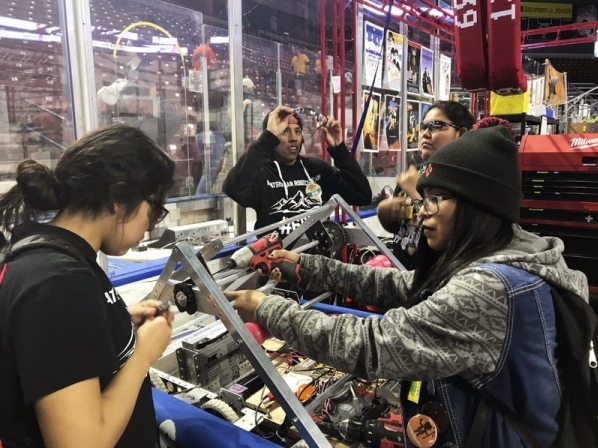 The Navajo team has competed in robotics for the last two years, and is among the best in the state despite only 30 students total attending the high school. The students began working on their robot for the upcoming competition in June. “The kids are really patient. They’re used to jumping through a lot of different hoops,” teacher Heather Anderson told the AP. “That’s what’s really special about this team; they’re really proud of their work," she added. Separate teams will represent the United States, Canada and Mexico, specifically, the AP reported. 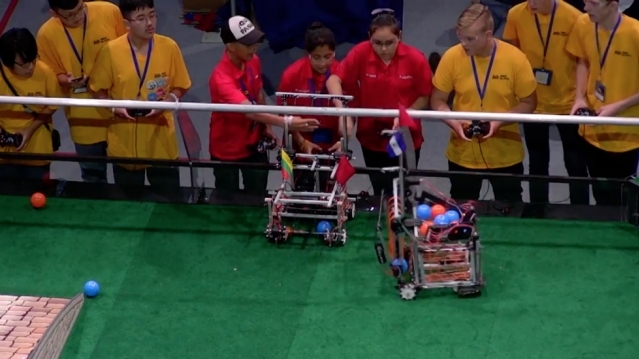 In Mexico City, each team will be charged with building a robot that has to work with other countries to accomplish an objective, the AP reported. Since many teams will face a language barrier, the students will need to collaborate using hand gestures and other methods. The First Global Challenge, which is in its second year, aims to encourage kids around the world to take an interest in science and technology. 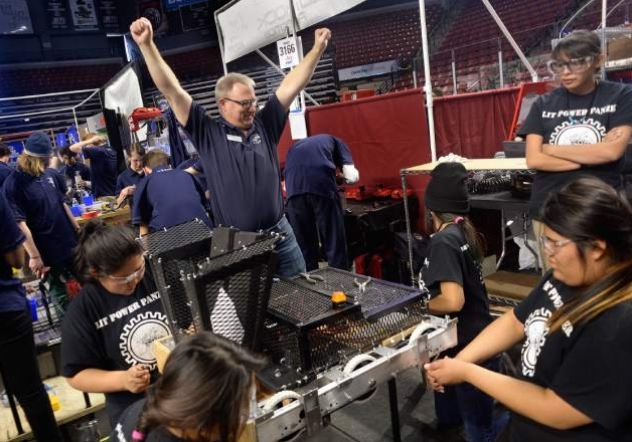 Responses to "Navajo students to represent North America at robotics competition"